The average price of regular gasoline in Lockport is a penny more this week at $2.998 per gallon, according to AAA East Central’s weekly Gas Price Report. Gas prices have been on the rise in many of the Mid-Atlantic and Northeast states, with some making the list of the top 10 largest jumps in the country. Statewide, New York gas prices are about two cents more expensive than this time last week ($3.01). For a second week, gasoline inventories in the Mid-Atlantic and Northeast region added more than 1.6 million barrels. Totaling at 69 million barrels, inventories sit at the highest level since June 2017. Despite the build, prices continue to increase due to more expensive crude oil. The national gas price average increased three-cents on the week to $2.91, with all but seven states paying more. Today’s national gas price average is six-cents more than a month ago and 41-cents more than a year ago. The September switch-over to winter-blend gasoline ushered in cheaper gas prices compared to the summer, but the drop was short lived. Crude oil accounts for much of the retail pump price, and crude is currently selling at some of the highest price points in four years amid concerns of global crude supply and geopolitical tensions. As a result, fall gas prices have not been this expensive since 2014. 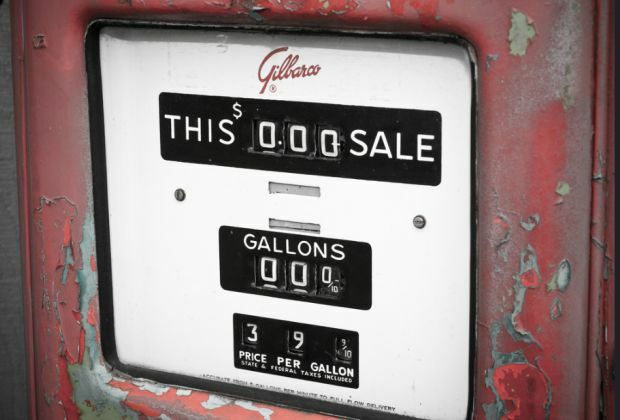 At that time, motorists were paying on average more than $3/gal and crude oil was selling well above $70/barrel. This year, despite inventory increasing over the week, crude oil is selling at $25 or more per barrel than last year. Today, the price for a barrel of oil is hovering around $74.